Lighter on the roasted malt than a traditional stout, this beer has a dark brown color, with just enough roast on the nose and in the flavour. To this, we added over 300 pounds of organic mangoes, which adds a bit of sweetness, and a lot of richness to the flavour. This tropical stout will have you dreaming of warmer weather, and begging to take you back to wherever you took that selfie on a beach. To mark the release of the brewery’s first ever stout, Market is holding a “Take Me Back” photo contest. 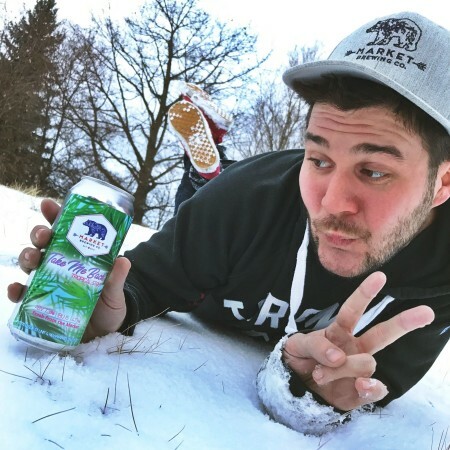 Entries can be submitted by taking a selfie – with a beer in hand, of course – that represents a place “where you want to be taken back to,” and post it on Instagram with the hashtag #takemebackmarket and the tag @marketbrewing. The top 3 pictures will receive prizes of mixed packs from Market Brewing. For more details, see the announcement on Instagram.